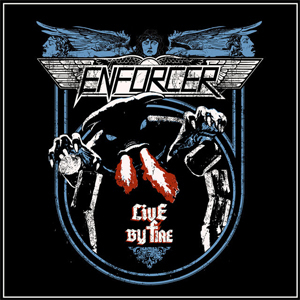 With three weeks left until Swedish quartet ENFORCER release the band's very first live DVD/CD package, Live By Fire (out: November 27th in North America via Nuclear Blast), the band presents another appetizer clip. Watch the "Scream Of The Savage" live video, recorded in Athens, whose audio version is part of the CD, on KNAC.COM right HERE. "Take Me Out Of This Nightmare"
"Silent Hour" / "The Conjugation"
"Tyrants Of Our Generation" (new studio track)"
"Speak The Tongue Of Heathen Gods"